Norland Chesterfield Log Cabin: The Norland Chesterfield log cabin with its off-set ridge design and large glazed area is the perfect practical log cabin for use winter or summer, this log cabin can be used as a garden office, a playroom for the children or a sunroom for everyone to enjoy that is away from the main house so that you can enjoy peace and quiet away from the hustle and bustle of the family and life in general! 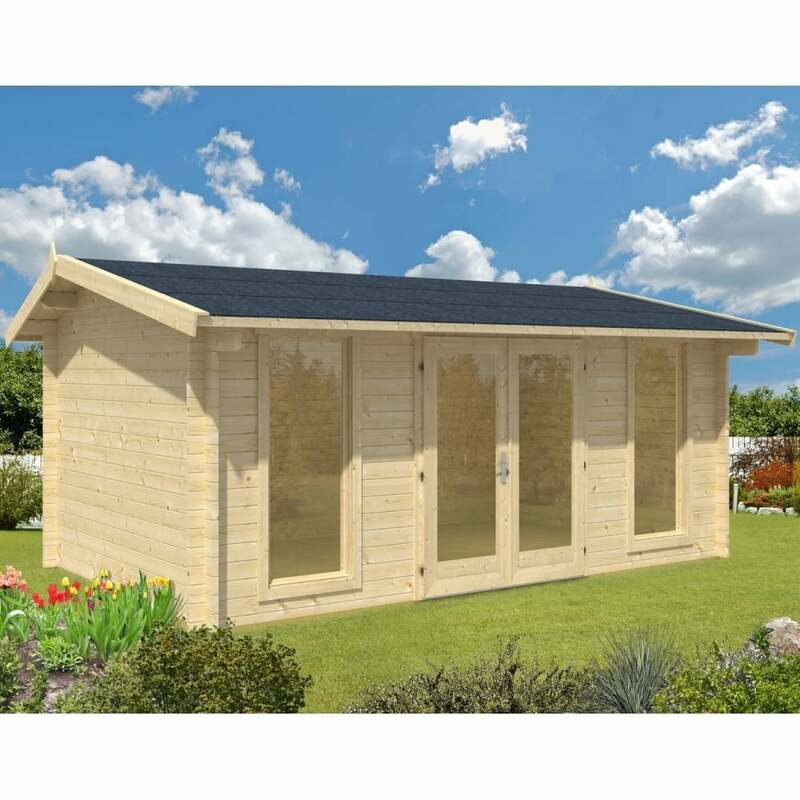 This quality log cabin has 44mm wall logs and is double glazed for added insulation properties. The cabin features a double door to the front which is fully glazed and two full length windows either side of the door. This will allow for generous amounts of natural light to flood into the building helping you to reduce electricity costs. This cabin includes the pressure treated floor bearers that the cabin will stand on to keep the untreated timbers off the ground and optional roof insulation and roofing material can be purchased separately if required. Full assembly instructions are included with this log cabin and there are no nails or screws required in the construction of the walls due to the traditional interlocking wall logs.